François-Édouard Bertin was the son of Louis-François Bertin, the well-known journalist and director of the Journal des débats, whose portrait by Jean-Auguste-Dominique Ingres (1780-1867) in the Louvre is one of the artist’s most celebrated works. Francois-Édouard Bertin studied painting with Jean-Joseph-Xavier Bidauld (1758-1846), Anne-Louis Girodet-Trioson (1767-1824), and Ingres. He worked primarily as a landscape painter and exhibited regularly at the Salon from 1827 to 1853. 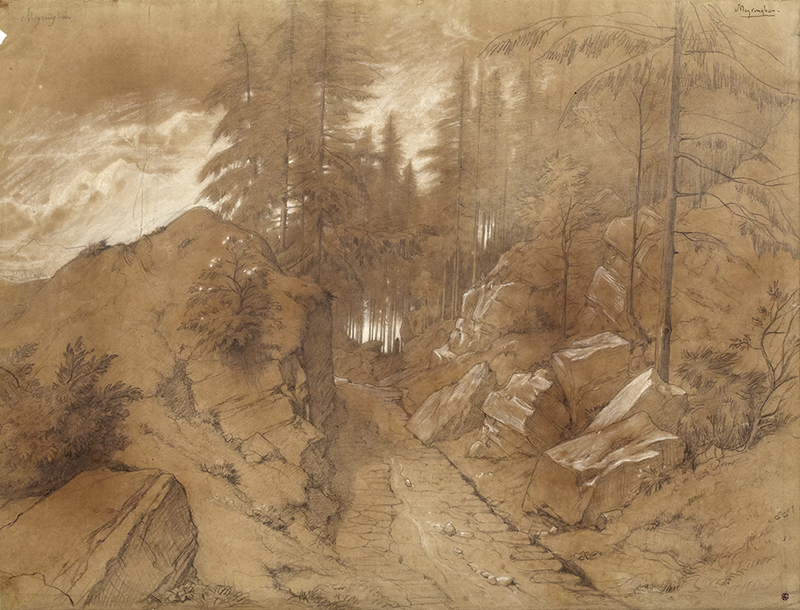 In 1854, he took over the direction of the Journal des débats after the death of his brother Armand, but continued to draw and paint until his own death in 1871.